Home Education Questions and Answers Can I Use NCE to Seek HND Admission? Can I Use NCE to Seek HND Admission? A reader just asks if it is possible to be admitted for HND programme having completed his NCE course. And if you think you want to know why, read the rest of the post. 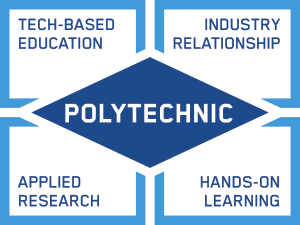 While polytechnic education is meant to produce graduates that are practically oriented and groomed in the areas of engineering and technology, NCE graduates are meant to be teachers. Even though an HND holder can handle teaching, in most cases than NCE graduates, that doesn’t certify them to be (eligible to) work within the four walls of classrooms. Now that you’re done with NCE, you’re better to furthering your studies to Ddeegree (Bsc, Bed). This will continue your teaching for the next 3 years if you take direct entry form. Trying to move from NCE to HND is like building a mansion with wrong foundation. Only OND and NABTEB Advanced Level graduates are to HND admissions. This is because; their earlier studies align with the proposed programmes in the same or another polytechnic/course. Conclusively, you can’t process HND admission with NCE. Proceed to a university of education (or faculty education in a university) to continue your studies. Trying to change course of study is not an uncommon thing. I have seen graduates of NCE who after three years at college of education wish they had instead become a doctor, lawyer or engineer. Nothing is wrong with you if you chose not to pursue Degree in Education after your NCE. If you find yourself in this category of people, it’s not late. You still obtain another JAMB and pursue a degree or National diploma in your interested course. In case, you’re worried if you as a recently matriculated candidate (i.e someone who had already been in school) can still obtain another JAMB, yes you can. There are lots of misconceptions, misinformation and misunderstandings around this. But we have seeing people doing this without being sanctioned. You have the freedom to education and to any course you love.